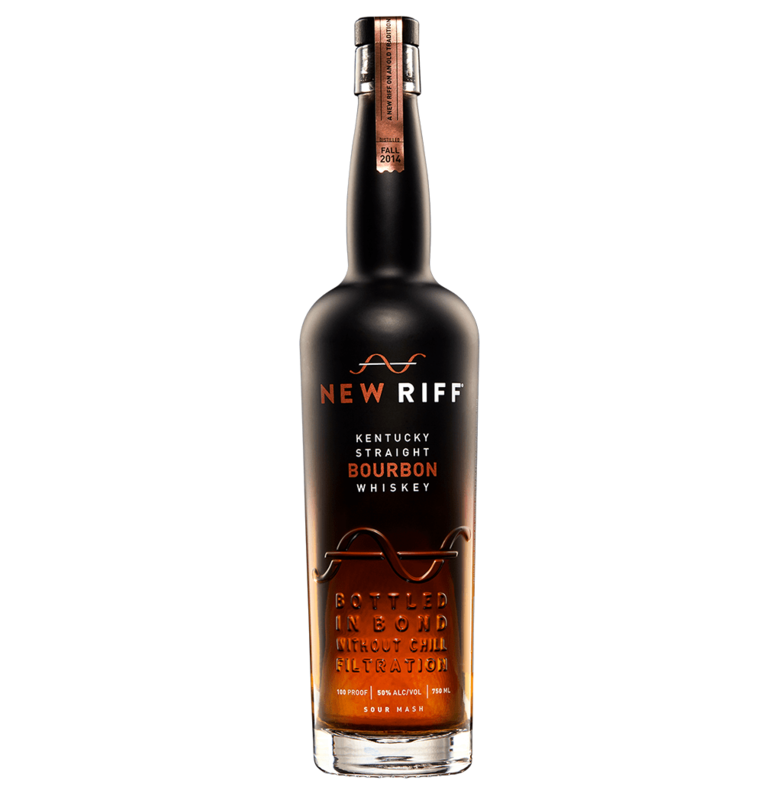 New Riff Distilling’s core Bourbon expression is a genuinely high-rye, full bodied whiskey offering savory, spicy character. Building upon America’s 1897 Bottled-in-Bond Act—already the highest quality standard for aged spirits in the world—New Riff Bourbon is Bottled In Bond Without Chill Filtration. Featuring a mash bill of non-GMO grains at 65% corn, 30% rye, and 5% malted barley, it represents a new riff on Kentucky’s most hallowed whiskey traditions. Aged four years in 53-gallon toasted and charred new oak barrels, there are no shortcuts taken in our production. All New Riff whiskeys are made with the full sour mash Kentucky Regimen; all carry an age statement and are always bottled without chill filtration. The nose is classic, high rye bourbon with big notes of caramel and clove, a little peppery spice, and some subtler, dried dark fruits. It’s a nice balance of sweet and spice, and there are very few signs of its actual youth with only the slightest traces of popcorn. On the palate, there’s an initial flash of adolescence with a little more of the cereal notes emerging alongside a sharp woodiness, but none of that lasts too long. This young bourbon quickly turns rich and borderline syrupy on the tongue with the popcorn becoming caramel-covered and the oak mellowing into a sweet and creamy vanilla icing character. There’s a great heat here, too, complemented by a minty rye spice and sugary black berries. The finish is considerable with more rye influence, a gently fading warmth, and a smattering of spice cabinet notes. This one should only improve with more barrel time, but it’s pretty far ahead of a lot of craft bourbons out there already.